The potential of 5G is immense. 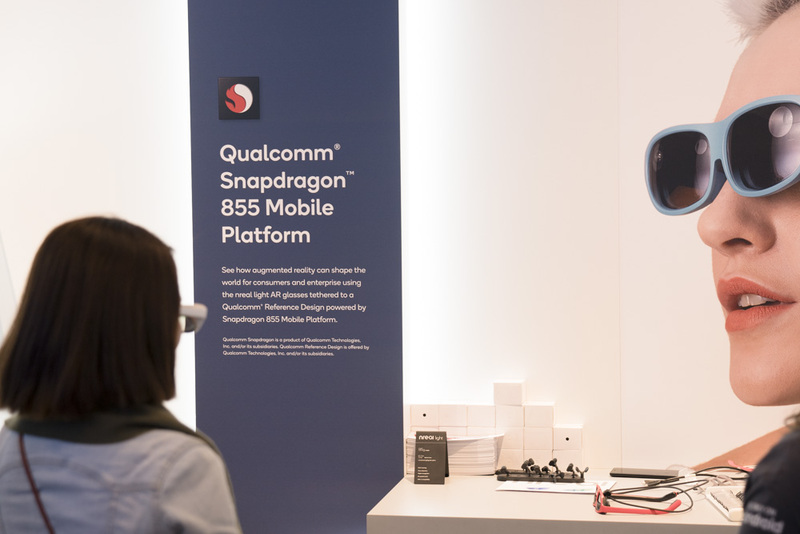 What we got to see at the Qualcomm booth regarding this new generation of cellular wireless technology laid down a clear path to the future. Part of that future is what Qualcomm calls “Boundless XR”. XR is short form for extended reality and it includes both virtual reality and augmented reality. So, what is “boundless”? Well, this is where Qualcomm’s expertise comes into play. Using 5G and powerful chips in smartphones, the IP-heavy company demonstrated its plans to break the XR experience from the shackles of wires and beefy computers. The first demo I had was of the Snapdragon 855 powered AR glasses called the nreal light. These glasses offloaded their computing entirely to the phone, making it cheap and affordable as a solution and creating some really unique experiences. The glasses have two 1080p screens reflected onto the eyes through mirrors and using two RGB cameras, a depth sensor, an IR camera, it can calculate depth and overlay digital holograms on to the real world. First I was greeted with a menu of items, with a couple of demos I could try. The first demo was 3D objects placed on a flat surface and I experienced some super high resolution holograms enacting their performances on a flat table. The second demo was even crazier, with a full-wall TV-like experience, stuck to a real wall, but the video was 3D. Live action video recorded by NextVR cameras showed off a football match, with hyper real view from the sidelines and potentially, even extra screens around the main screen for replays and highlights. This being my first AR experience, literally blew my mind that all of it was powered by Snapdragon 855 inside a phone and the potentiality of having live 3D streams at high resolutions with 5G showed the potential of this experiment, which was apparently developed in a timespan of 3 months. Of course, XR includes virtual reality as well, so that was the next demo I had. Again, powered by a 5G connected phone with Snapdragon 855, this demo showed off something even more interesting. The computing was not entirely handled by the phone, because as we all know, virtual reality is 360 degree rendering at resolutions the phone cannot handle. So, what does Qualcomm do? Well, since the phone is connected over 5G, the device can avail the advantage of using the wireless edge. We’ve talked about this before. Edge computing is when servers stream content on to the phone, offloading a lot of computing power to PCs located nearby. So, rendering of complex and rich graphics was possible over 5G and this is what I had a demo of. Since this kind of a VR is totally mobile, it is possible to move around in the real world and recreate it in the virtual world without having to use joysticks. Right next to this demo was another similar demo where mmWave WiFi was used to make the VR headset even more mobile, by removing even the phone part from the equation. mmWave wifi is so reliable that I was able to have a truly boundless experience by streaming the entire game to the headset. This, again ensured that I could walk around and interact with my virtual environment with fidelity I had never experienced before. You know when they say virtual reality is like teleportation. With Boundless XR it truly feels like it, finally. With these demos, it was straightforward how clear Qualcomm’s vision for the future is. With 5G, a lot of things are going to change, including already existing technologies which haven’t reached mass adoption yet. 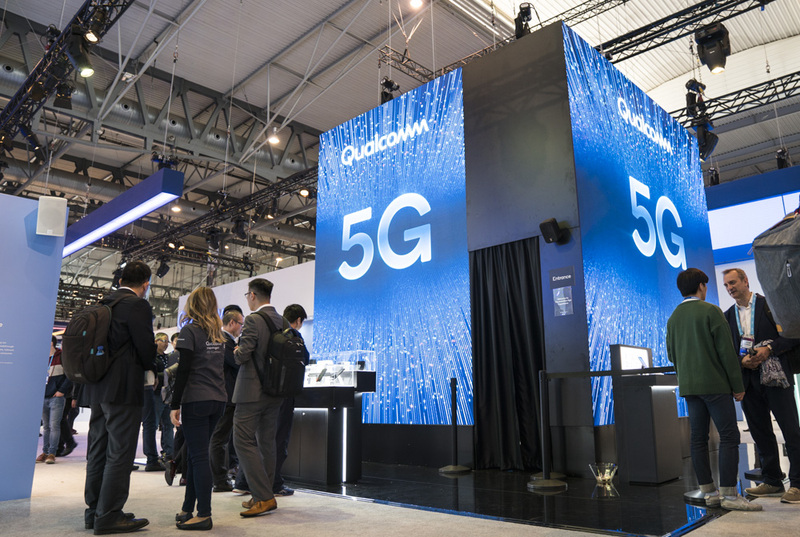 Virtual Reality and Augmented Reality will become a reality with 5G and I literally saw this come alive at Qualcomm’s booth at the Mobile World Congress 2019. Says a lot about Qualcomm as well as the Mobile World Congress where truly groundbreaking stuff reaches people like us. Boundless XR is something we are really excited about and would love to know what you guys think, please post your comments in the comments section below. Next Next post: MWC 2019: It’s all about the IP, baby!